Quick summary: Students will plan and participate in Schools Clean Up Day. In groups they will choose a site within the school or local community and make the necessary arrangements for the clean up. Students will collect data on what they find during the clean up and from this data they will determine some possible sources and solutions to their schools rubbish problem. Alternatively, you may want to organise Schools Clean Up Day yourself and then get students to complete an analysis of the results. Students understand the impacts of litter. Students take responsibility for litter in their school community. Students will think of new ways to do things. Australian Curriculum content description: This lesson can be aligned with a variety of learning areas and year levels. Time required: Start planning two weeks before Clean Up Day. Resources required: Gloves and tongs for collecting waste, internet access, printed Student Worksheet, printed school maps, Schools_Clean_Up_Day_Groups. Digital learning opportunities: Use the videos in the Clean Up digital toolbox to engage students. 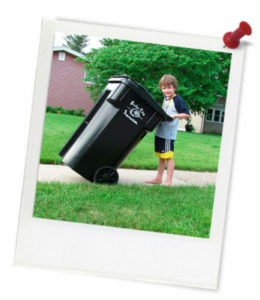 Homework and extension opportunities: Get the students to research companies that reuse waste. What is happening both nationally and internationally in this area? Keywords: Clean Up Day, food, packaging, waste, litter, recycle, reuse, reduce, rethink. Safety: Ask students to review the Class Safety Code for working with litter. Students should wear rubber gloves and/or tongs when collecting and handling litter. For more on safety click here. 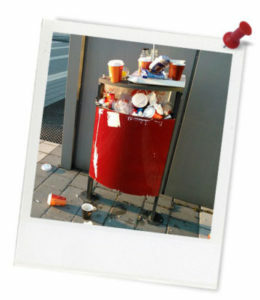 Quick summary: This teaching resource is designed to help students plan their Schools Clean Up Day. A green team, community group or class can work collaboratively to plan and run a whole school clean up. This places students in charge of their own learning and encourages them to learn in a real-world context. Students will follow a project-based learning style that allows them to develop skills from a range of educational areas. They will communicate what they've done with the wider school community. Teacher content information: Each year thousands of school students across Australia participate in Schools Clean Up Day to create a healthier environment for Australia and learn about ways to conserve our beautiful country. No idea is too big or toosmall at this stage. Have one group member record all the ideas generated, then begin discussing them. Complete this task as a group. Use the Internet to search for case studies similar to your proposed project. Using information about a similar project, estimate how much CO2e could be saved through your plan. Group 1: Who, what when and where? Group 2: Data - How will we measure our impact? Group 3: Resources - what will you need for the clean up? Group 4: Public Relations - How will the clean up be publicised? Group 5: Disposal and sorting - How is the rubbish collected going to be disposed of after the clean up?